Music and dance are inseparable in the Malaysian way of life. Both these art forms have been heavily influenced by the diverse elements of Malaysia’s, rich, vibrant culture. Further, historical records indicate that Malaysian music was first developed to fulfill certain basic needs and then went to evolve into its modern day rather complex art form. 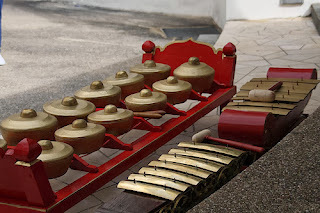 For instance, the drums which nowadays are used as an accompaniment to the gamelan, a stringed instrument integral to Malaysian traditional music, were once used as a form of communication with sounds reverberating from hill to hill in an effort to communicate messages during an age when computers, faxes, phones etc. did not exist. It is believed that traditional Malay music was born in the Kelantan-Pattani region, and displayed influences from China, India, Thailand and Indonesia. 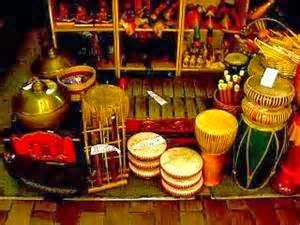 Traditional Malaysian music features various different percussion instruments like the gedang(drum) and more. Aside from the percussion instruments, traditional music also featured instruments like the rebab (a bow-shaped string instrument), the seruling(flute), the serunai(an instrument that resembles the oboe) and trumpets. Most of these instruments were fashioned out of natural materials like sea shells, reeds and more. History tells us that these traditional instruments were at first used for communication but then went on to be used for storytelling and celebrating events, harvests, weddings and more. Traditional Malay music continues to occupy a prominent position on Malaysia’s music scene. Chinese orchestras are present in Malaysian Chinese communities all over the country. These orchestras are known as ‘Hua Yue Tuan’ and feature modern and traditional Chinese instruments. The compositions of these orchestras are greatly influenced by music hailing from Hong Kong, Taiwan and China though over the years they have incorporated many Malay musical elements as well. Malaysians of Indian origin largely hail from the southern states of the subcontinent; hence Carnatic music and Hindustani classic music feature prominently in their cultural heritage. Over the years however, Punjabi bhangra music has become increasingly popular on Malaysia’s music scene. The dhol(drum) an instrument used extensively in Punjabi music has begun to feature in Chinese and Malaysian music as well. This indicates that Malaysia’s unique amalgamation of cultural influences has begun to extend on to its music scene as well. 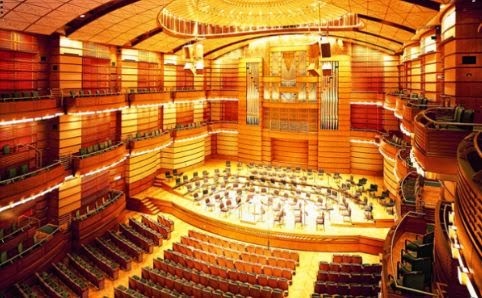 The epicenter of classical music scene in Malaysia is the Dewan Filharmonik Petronas, the largest performing arts venue in Kuala Lumpur. This arts institution has the Malaysian Philharmonic Orchestra (MPO) in residence and aside from classical music, also promotes jazz and world music art forms. Classic music in Malaysia features influences from its many different resident ethnicities. Malaysian contemporary music features a rich mélange of styles and influences. The fusion music scene in Malaysia is especially vibrant and features several well-known award-winning musical figures like Chong Kee Yong, Adeline Wong, Dr Tazul Izan Tajuddin, Yii Kah Hoe, Saidah Rastam and others. Modern Malaysian music features various imported influences. Malaysian students who over the years have gone abroad to study have brought back various musical forms like jazz-fusion, trance, hip-hop and more. Additionally, Malaysia also has a vivacious underground alternative music scene which features many guitar-driven bands heavily influenced by rock music though in recent years various other musical forms like Islamic pop, folk, electronica, dance and hip-hop have gained much popularity. Malaysia is home to a truly eclectic music scene which seems to be growing and evolving with each passing day.